Benjamins Records multifaceted Nigerian Afro-pop singer/song writer -Edosa Evans a.k.a Don Euros, unleashes another Syk produced top notch jam titled “Some More Refix”, featuring Ellyman X Twist Da Fireman after the successful released of Some More single and “Mi Maria” video featuring Soky which was directed by UJ Pro Films. 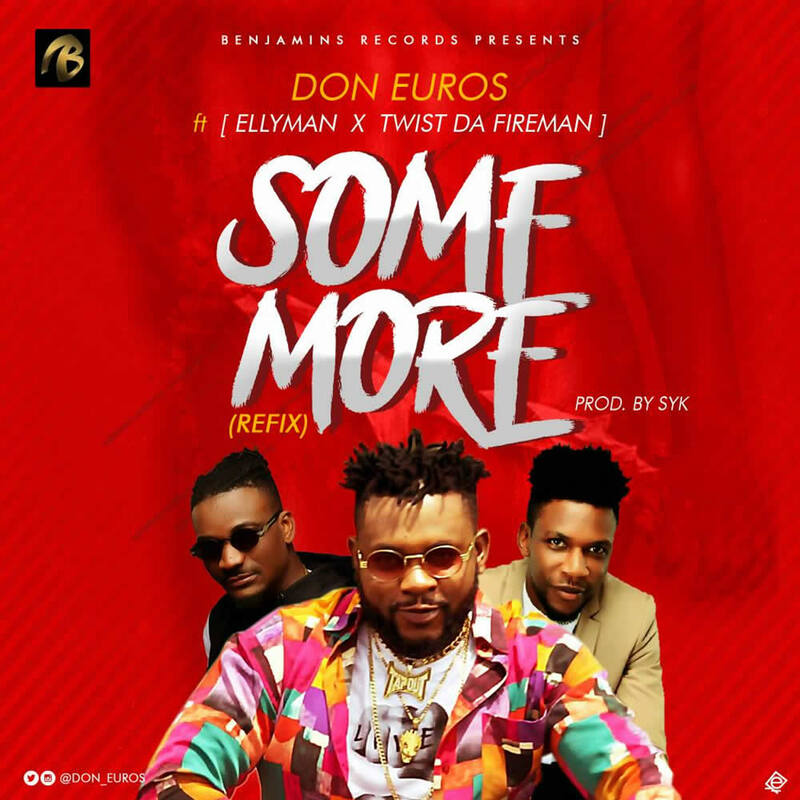 The unrivaled singer – Don Euros came through with a unique style on this much awaited super single “Some More Refix”, featuring Ellyman X Twist Da Fireman which promises to rock airwaves across the globe and “Some More Refix” is available on all streaming and download platforms. Listen, enjoy and share your thoughts below.